The monument to the Unknown Seaman was formally opened in the Central Recreation and Leisure Shevchenko Park on the 9th of May, 1960 — the 15th anniversary of the victory over Nazi Germany in the Second World War. 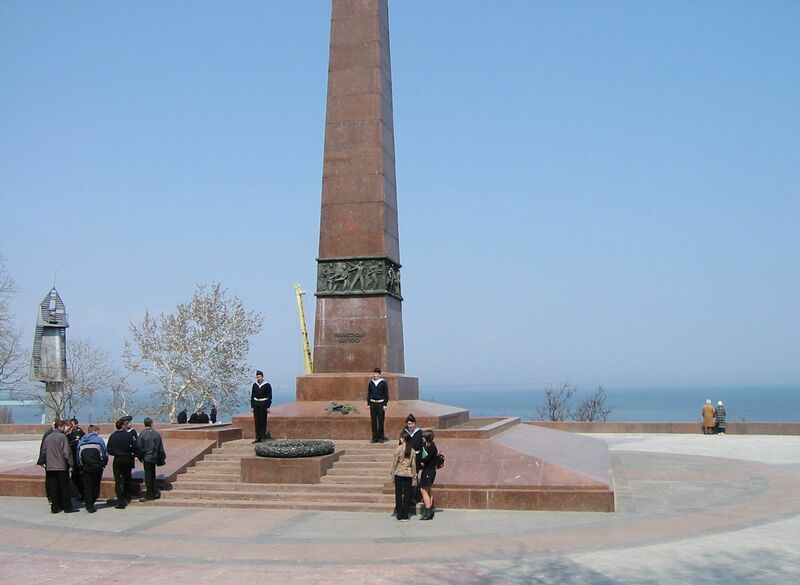 The monument is dedicated to the hero soldiers of the Coastal Army and the hero seamen of the Black Sea Navy who defended Odessa in 1941. The obelisk of red granite, cast iron and bronze is 21 meters tall. The Eternal Fire burns at the pedestal framed with a bronze wreath. A submachine gun and a sailor cap are cast in bronze at the feet of the pedestal. Guards of honour are on duty at the monument.